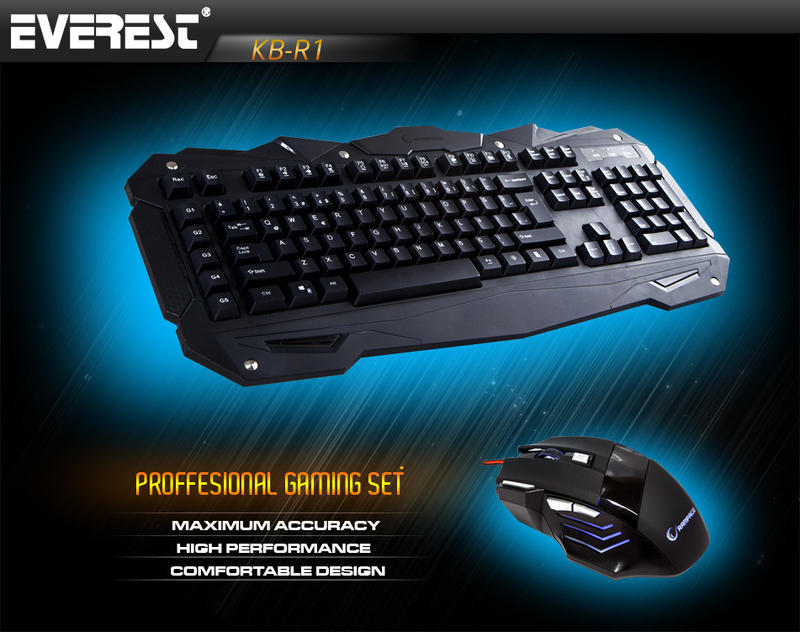 Everest growing day by day as the certifier of several successful computer accessories in the world, Gamer are also not ignored. 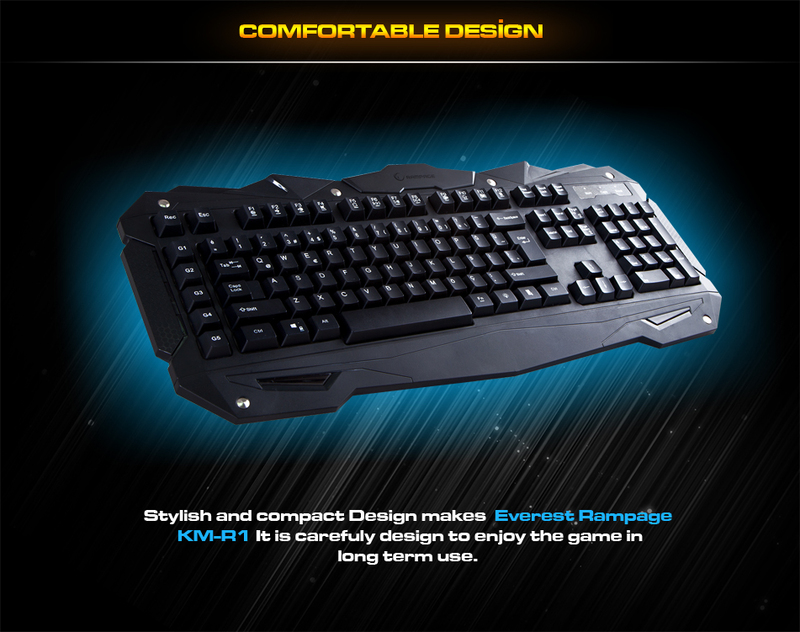 Company Keyboard is known as KB-R1 Gaming keyboard, it has classic view from the outside. During the Games the most preferred W, A, S, D and arrow keys more prominent by using blue color. It is designed most appropriately for users. 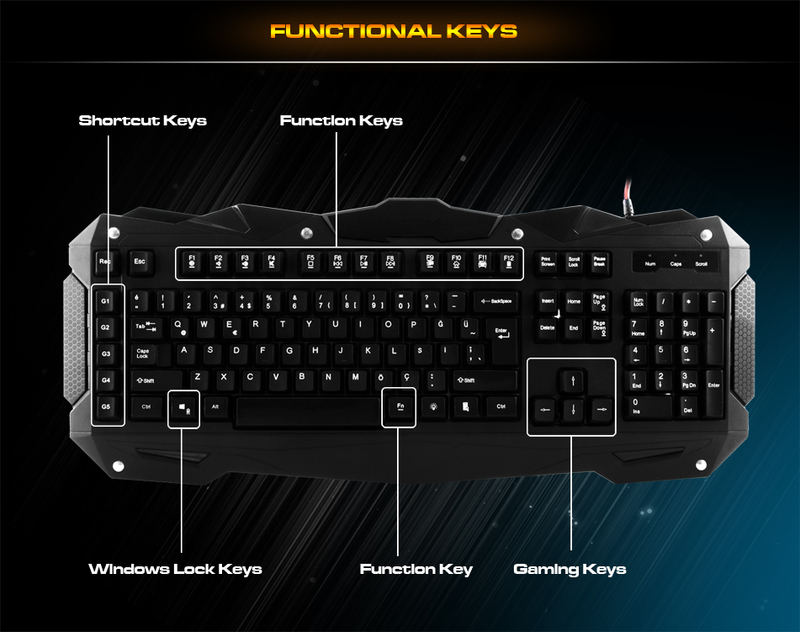 Everest Rempage KM-R1 ; All operation will be managed from one place through functional keys. You will have no problems while playing games with windows lock key. Everest Rampage KM-R1; It has a stylish look. The special design ensures maximum grip on the side surface. It will be essential for you! 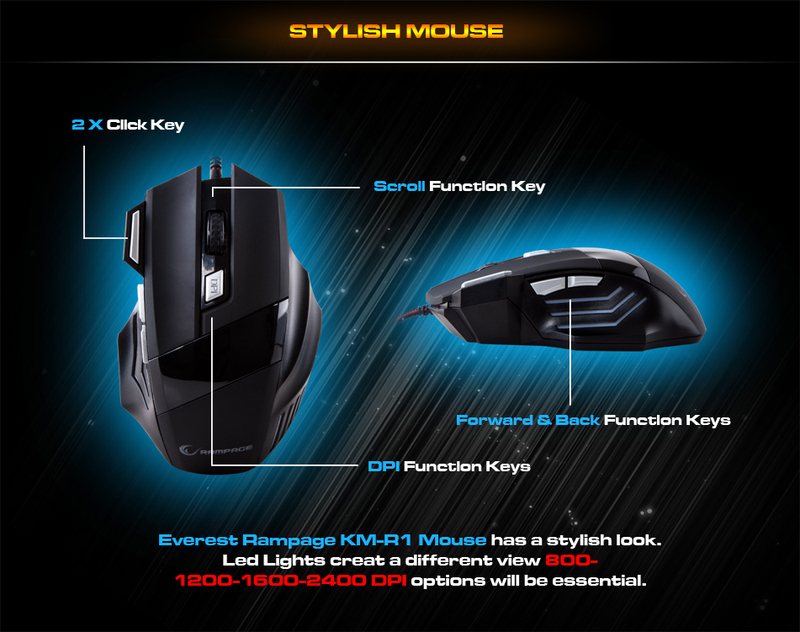 Everest Rempage KM-R1 ; It is designed comfortable and shiny with small size, Everest KM-R1 has slim and handy structure. 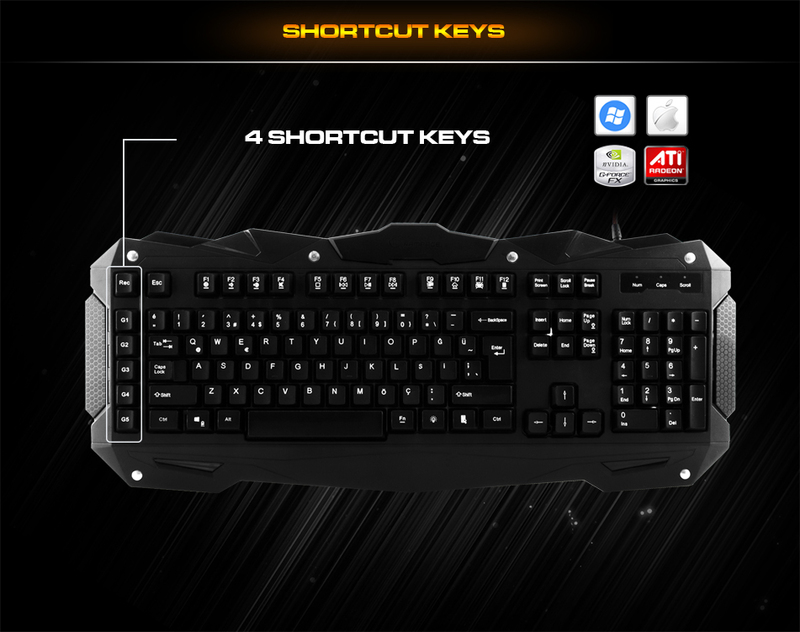 Everest Rempage KM-R1 ; You can make quick and easy your process with 4 assignable shortcut keys. Shortcut keys will save your time. 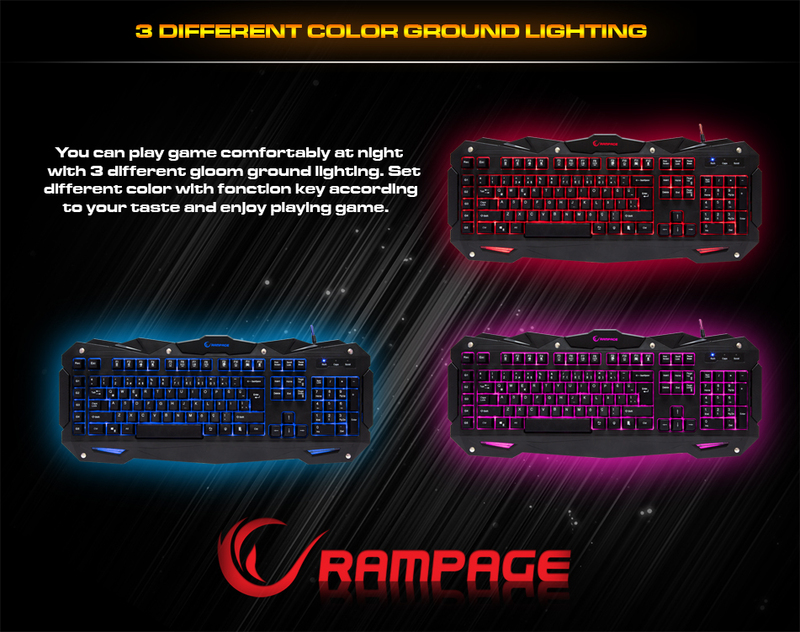 Everest Rempage KM-R1 ; You can play games comfortably in night or dard condition with 3 different colors back lights. Set different color according to your choice and enjoy playing games.